It’s time to kick it up a notch. The bananas have been SO tasty lately, which is good because almost all the other fruits have been lame. We’re in between seasons here in CT, so the citrus is on its way out and the berries aren’t yummy (or cheap) yet. Lately I’ve been on a banana and peanut butter kick. I eat them together for a snack or with Van’s whole grain waffles for breakfast. I was in the mood for a smoothie so I decided to make a peanut butter and banana smoothie. 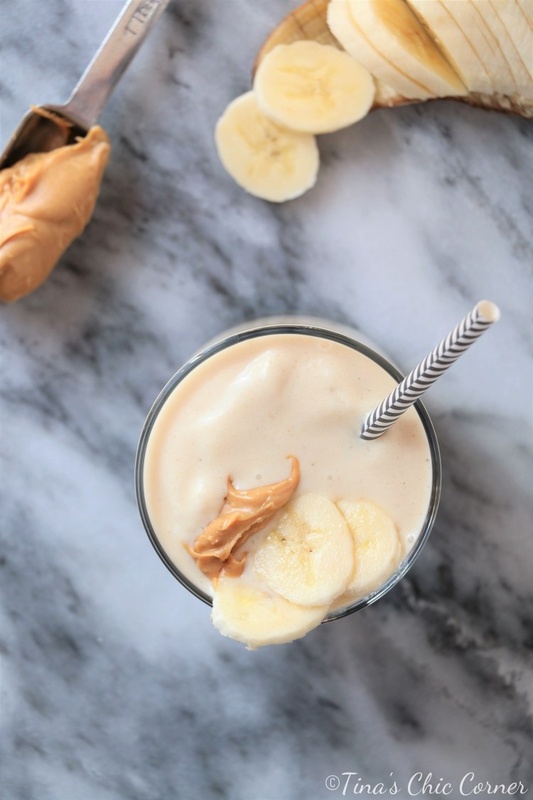 I’m excited about this PB & B smoothie because it only calls for three ingredients. 3! I’ve seen lots of smoothie recipes with tons of ingredients in them and that’s fine but I like to keep mine as simple as possible. After all, if you have to disassemble half of your kitchen to find all the ingredients, you probably aren’t going to make it at all. Not to mention the fact that I usually don’t plan when I want smoothies so it’s got to be whatever few ingredients I have on hand at home. This one is really delicious and I still got to enjoy my peanut butter and banana obsession. Oh, and because I’ve completely failed to mention the third ingredient, you need a bit of yogurt to hold it all together. You may need a big wide straw to drink this one folks. Sounds delish! 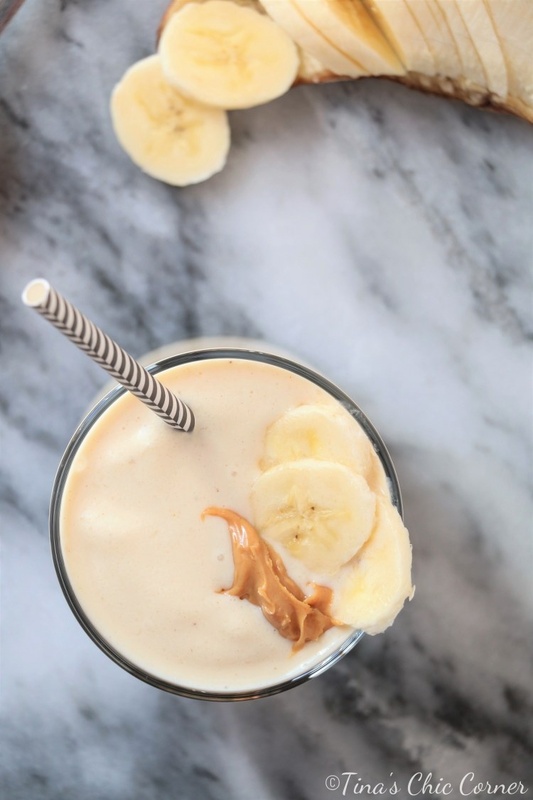 I make a similar one daily but to cut calories I use Peanut butter powder PB Fit. It has 90% less calories than regular peanut butter and I add almond milk and vanilla protein powder, no yogurt. If the banana is frozen it works the best! Btw, I made your maple mustard chicken for the family the other night and it was a big hit! Quick and easy. Thanks! I’ve never heard of peanut butter powder PB fit. I definitely have to look into that. This looks so refreshing. I never thought of using yogurt. I love the pics!